Since 1995, Caring Home Care, a Licensed Home Care Service Agency, has been providing quality, reliable health care services to patients and families throughout New York City. We offer a comprehensive network of services delivered by caring, skilled professionals. Patients, hospitals and nursing homes depend on Caring LHCSA, knowing that we are committed to providing only the most qualified and appropriately trained professionals who ensure skilled, compassionate care on a consistent and timely basis. A combined fluency of 24 languages among our providers ensures complete understanding and sensitivity to clients’ needs. Caring for a family member needing special assistance due to aging, illness, post-surgery or other circumstances is never just a task; it is a responsibility. Convalescence in a familiar environment such us your own home is always easier than dealing with institutions. We are dedicated to providing top-notch service through personnel trained specifically for the home setting, allowing those needing care to stay involved with family, neighborhood and community, while encouraging independence, dignity and comfort at home. Caring Home Care is a Licensed Home Care Services Agency (LHCSA) licensed by the New York State Department of Health and we strictly adhere to all its mandated requirements. Through our provider network of Certified Home Health Agencies (CHHA) and Medicaid Managed Long Term Care (MLTC), we offer instant access to a wide selection of short- and long-term caregivers, tailored to the specific needs of each and every client. Our caregivers are highly trained and experienced qualified professionals who are fully screened and verified. Apart from these checks and verifications, we are always mindful of our client’s needs and only employ professionals who are sympathetic and sensitive, always courteous, polite and respectful. Caring Home Care provides services for the following counties: Kings, Queens, Bronx, Richmond, Manhattan and Nassau. 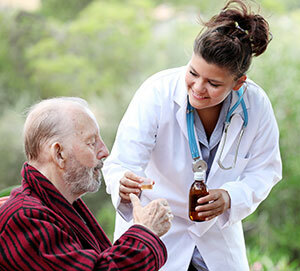 Who can benefit from Caring Home Care? Free In-Home Assessment: A Clinical Supervisor / Registered Nurse personally visits the home in order to assess the client’s needs, and recommends a family-centered Plan of Care. As follow-through, there will be periodic supervisory visits in order to ensure safe compliance with the established Plan of Care and recommend improvements whenever necessary. Caring expertise beyond home companionship: Our qualified personnel have the ability to properly assess client issues thereby employing the appropriate solutions. Because of their training and knowledge, our staff members are also capable of de-briefing the necessary personnel on the medical conditions of the client, whether it is the Registered Nurse, or the family physician. Availability 24/7: We have a special On-Call program that allows us to be available for you 24 hours a day, 7 days a week. Through our Answering Service, we are capable of sufficiently monitoring attendance of staff and making replacements if necessary, even at times of emergency. More than just Reference Checks: We also conduct Criminal Background Checks by obtaining a criminal history record from the United States Attorney General of all our staff. This ensures safety and security beyond reference checks and allows for peace of mind when employing our staff. Copyright 2015. Caring Home Care. All rights reserved.